Great Floor Sweepers. Flexible Pricing. Incredible Results. Floor sweepers and cleaners are an essential part of any daily maintenance regime for large floor areas, such as warehouses, which can be a time consuming and costly task – but it doesn’t need to be. Our expert advisors are here to help match the best floor sweeping and cleaning machine for the job, maximising the results and leaving your floors looking incredible. Our machines are built with efficiency in mind, making sure you can get the most value in the shortest time possible, keeping your costs low. All our commercial floor cleaners and sweeping machines are available for hire or rental across the UK out of our base in Essex, near London. 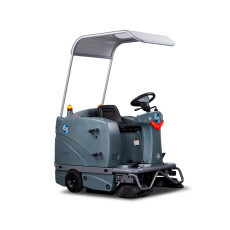 The I.C.E Ride- On Sweeper ISS1100 is a powerful sweeping machine, perfect for outdoors and indoors, such as car parks, warehouses and variety of industrial facilities. This innovative battery powered rider floor sweeper is extremely maneuverable and user-friendly, making you more productive in your working environment. Floor Sweeping Machine Hire UK provide a quality range of Floor Sweeping machines with a combination of power, versatility and efficiency that is unrivalled. Our Floor Sweeping machines are perfect for small to large floor spaces, allowing you to tackle any cleaning task. Floor Sweeping Machine Hire UK have over 25 years of experience and understanding of cleaning machines and equipment we have seen a steady request for floor cleaning machines hire daily, weekly, monthly or yearly periods.